Jeffrey Baird: [picks up phone] Hello? Cecil Flintridge: Oh, hello, Jeffrey. Yes, are you there? Jeffrey Baird: Of course I'm here. Cecil Flintridge: Now don't shout at me - I'm in jail. Jeffrey Baird: Well, that's all right; we don't need you. Policeman at Jail: What is this, a spelling bee? 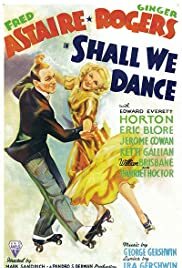 "Shall We Dance" is for this viewer one of the great Astaire-Rogers films, even if some of the comments don't agree. I love it because of the glorious Astaire dancing. One of my all-time favorite numbers of his is "Slap that Bass" in which Astaire dances to the rhythm of machines. Oh, those pirouettes! Amazing. I rewound and watched it twice more. Astaire plays a ballet dancer named Petrov. In real life, Astaire was loathe to do ballet because he was self-conscious about his large hands. 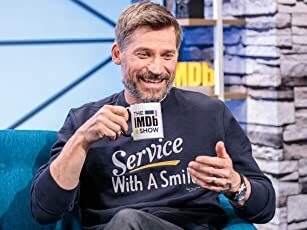 Who's looking at his hands? Petrov falls hard for singer Linda Keene (Rogers, who else) and arranges to follow her on the same ship to New York. Everyone has a great time, including the comic relief, Eric Blore, Edward Everett Horton, and Jerome Cowan. 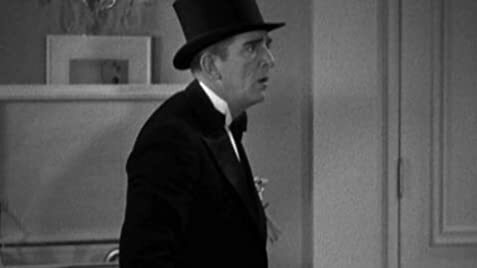 One of the best scenes occurs as Horton and Cowan smuggle a dummy of Linda (from a number she never did) into Astaire's stateroom to photograph the two together and prove they're married (they're not. And Blore getting arrested and telephoning to get bailed out of the Susquehana jail is wonderful. But "Shall We Dance," like the previous Astaire-Rogers pairings, isn't about the plot, it's about the music and dance. What music, what dance. George and Ira Gershwin's score includes "I've Got Beginner's Luck," and "They All Laughed," both sung by Astaire, "Let's Call the Whole Thing Off" (sung and danced by the pair on roller skates), "They Can't Take That Away From Me" (sung by Astaire), and the music later becomes a ballet sequence with Astaire and Harriet Hoctor. Astaire and Rogers dance to "Shall We Dance" after Astaire sings the number and the two reprise "Let's Call the Whole Thing Off." You can't beat "Shall We Dance" for pure escapism, breathtaking dance, and great songs.